Complex work in a beautiful building. This past week has seen our engineers carrying out a boiler upgrade and replacement inside the prestigious Stanmore Hall, London. This building stands on the spot which was originally Dower House, demolished in 1842. Rebuilding then commenced by John Mac Duff Derrick who later extended it again in 1885. Stanmore Hall was converted into a luxury development of 23 individual apartments within the original building in 1996. It has been rumored that residents have included Tom Cruise, Nicole Kidman, and Leonardo DiCaprio! 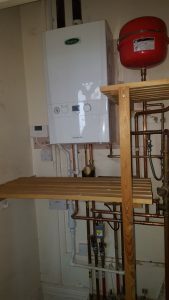 Our engineer Mick, removed a K-Range legacy boiler for our customer, replacing it with a new, more efficient System-30 unit . 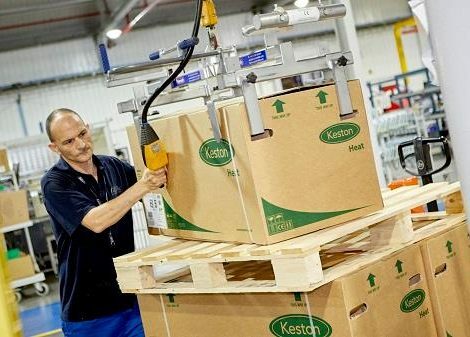 This is a highly capable boiler for a property of this size and perfectly suited to the heating demands. The newly fitted Keston System 30 boiler fitted by Mick. 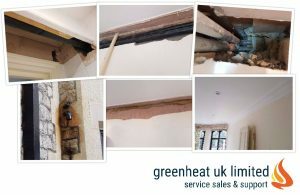 The greatest challenge with working with listed buildings is the requirement to preserve and protect their integrity. 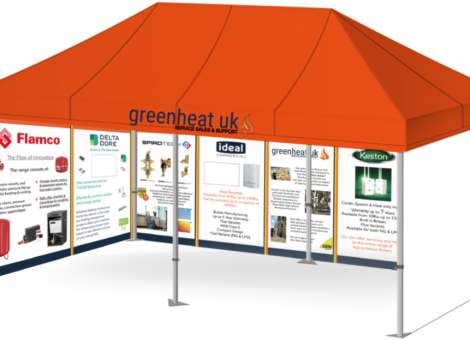 Greenheat UK has within its staff the ability to complete all elements of a job unlike other heating businesses. Simon, our specialist builder and decorator worked his magic with the removal of some of the beautiful decorative coving. This allowed the discreet running of flue pipes and once fitted, the coving was replaced. 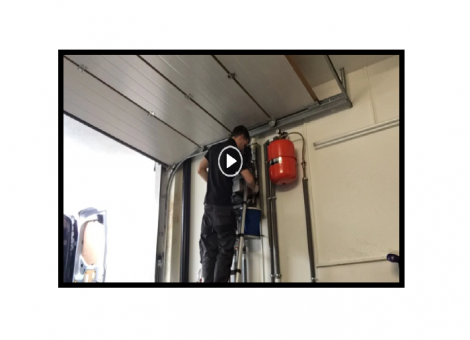 The Kestons flexible flue system made this possible. 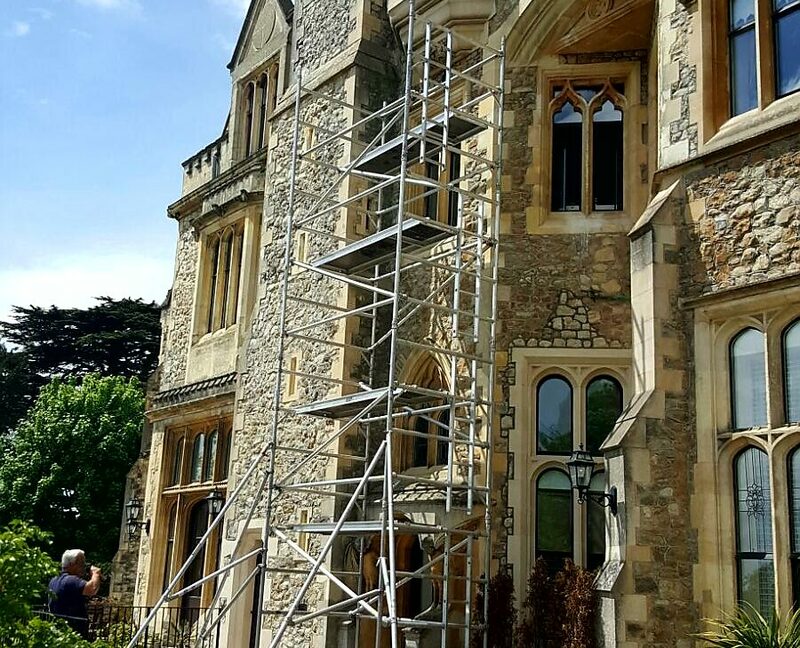 However our lead gas engineer James, did have to utilise a four storey scaffolding tower in order to reach it from the outside! Scary stuff! 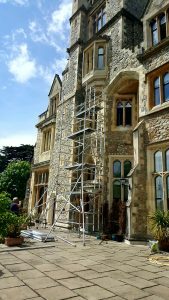 Our engineers erected this huge scaffolding tower, which against the backdrop of this property looks more akin to a Medieval Siege tower!